My master Carlos Maia always says that doing strength and conditioning is our homework as grapplers. When we go to class we’re attending school, learning everything that requires the presence of a teacher. When we’re at a Jiu-Jitsu academy, we should focus on training Jiu-Jitsu. However, BJJ greatly benefits from improved athletic abilities. It doesn’t matter if you compete or not. Complementary strength and conditioning is great for a better gas tank, injury prevention, and overall health. However, with limited time and the physical demands of grappling, you have to be careful when picking a routine. 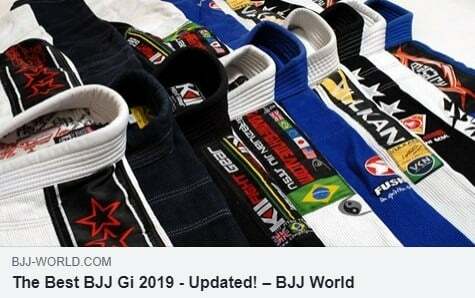 Luckily for you, we have the perfect workout for BJJ all ready to go. And wait until you hear who the author of it is! 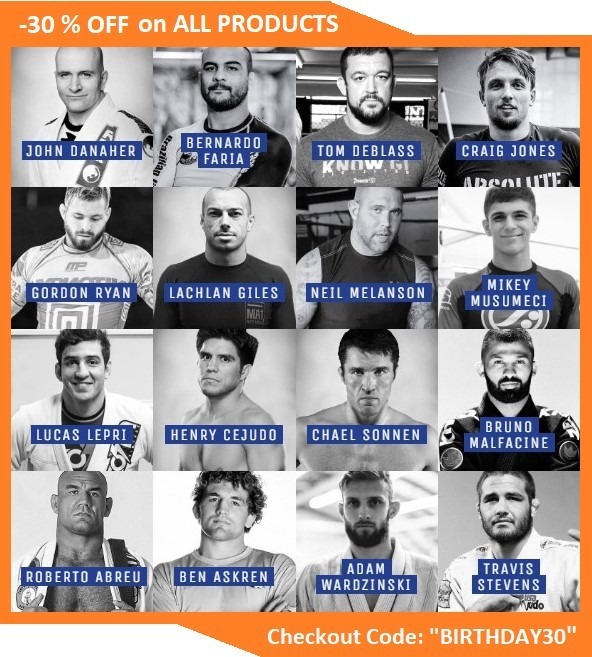 Most (apart from Marcelo Garcia, apparently) competitive grapplers take part in some form of strength and conditioning training. While BJJ guys are not always the picture of perfect fitness, the opposite I true for Judokas. Judo athletes are some of the strongest, well-conditioned, ripped grappling machines out there! So, when a Judo and BJJ black belt develops a highly specific workout for BJJ you do not question it. You just pick a gym and listen to Travis Stevens. You won’t become as good as him just by following his routine. What you’ll get is faster, stronger and better at grappling than you are now. Isn’t that what we’re all looking for? What Travis Stevens did with this program is amazing. He took all the hard work principles of Judo strength training and adopted them to Jiu-Jitsu. The program is a very simple, yet diverse one. 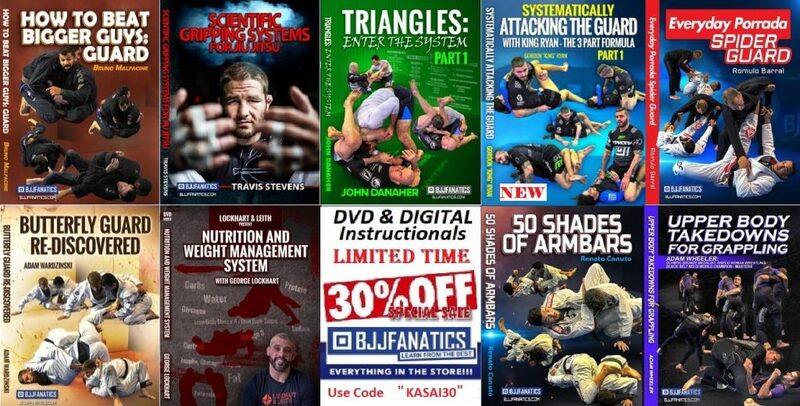 It includes every movement pattern and muscle group that we use in BJJ. Furthermore, it doesn’t take long to complete, nor is it going to leave you destroyed for days after. This is a program that is highly adjustable so that it fits both the recreational and professional grappler alike. 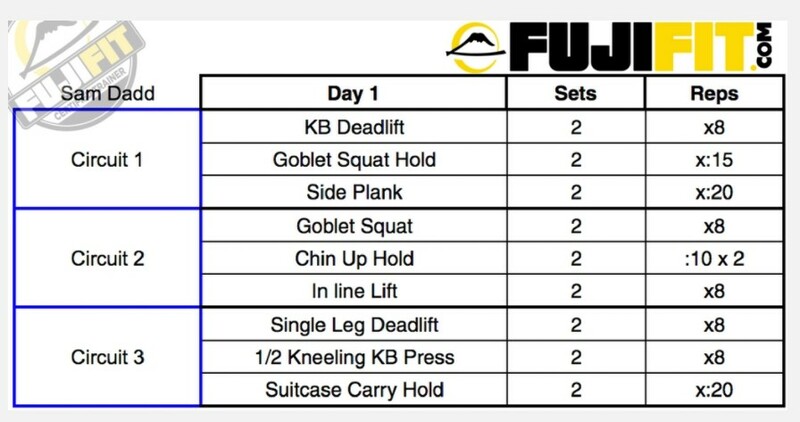 Let’s talk a bit about the programming behind this workout for BJJ before we jump to the exercises. Most people that train BJJ, do so at least three times a week. Anything less and you’re going to have trouble progressing. Now, if you go to BJJ three days in a row, you have three more left to train. No, I didn’t skip over a day there. At least one day of the week needs to be dedicated to rest and recovery only. And Travis knows this perfectly, which is why his program has a three day-split structure. Training three days a week leaves ample space for Jiu-Jitsu, as well as some time off. 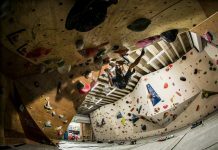 For the more adventurous grapplers that train more often, these workouts are even applicable in a two-a-day manner. Just do not do it more than once a week, unless you’re a full-blown professional. 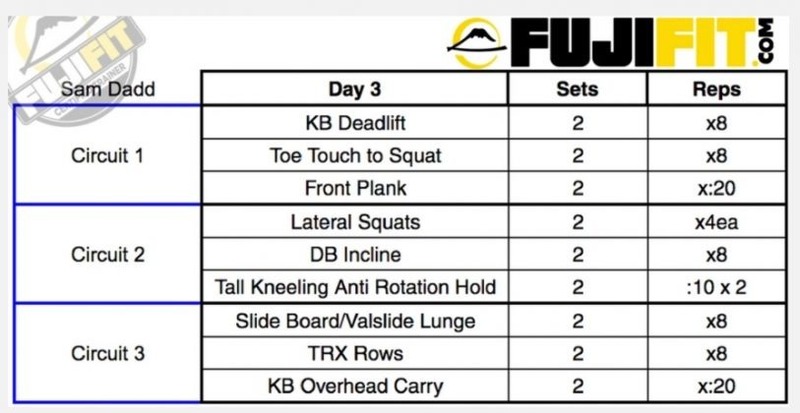 In terms of structure, this BJJ workout utilizes a great system – circuit training. 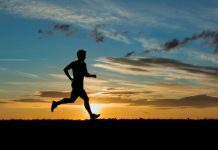 Circuit training means you do an exercise, then move to the next without resting, then the next and so on. After you complete them all, you get a breather and go through it again. Travis’ circuits are three exercises long. There are three different circuits like this in a day’s workout for BJJ. Before you start complaining that it isn’t enough, give it a try. The choice of exercises covers every muscle that you need to condition for Jiu-Jitsu. The key here is effectiveness, not complete destruction. If you’re looking for workouts that’ll make you puke, go do Crossfit. Just don’t expect your BJJ to improve as a result. Quite the contrary. Travis Stevens is a Judo Olympian and knows a thing or two about intensity. His program does not include any unnecessary elements. In truth, the number of sets is surprisingly low at first sight. When you look into it, however, you’ll notice that he has a combination of dynamic and isometric exercise. Moreover, he sticks to compound exercises that give you the best bang for your buck. Each circuit is done twice, with a short rest before moving to the next. That brings the total of sets per workout to 6, which is ideal. 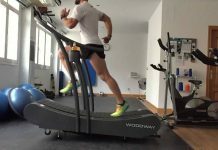 The number of repetitions of dynamic movements varies between 5 and 8. This is the sweet spot for developing both strength and endurance. If you look to improve your bench press, you’re looking at the wrong program. If you want to win a grappling competition though than this workout for BJJ is a perfect choice. In terms of equipment, Travis’ keeps things simple. You’ll be able to do the workout at any commercial gym, or even at home if you prefer. A gym is a better option because you can vary the weight on different exercises. All you need are a pair of kettlebells, a pair of dumbbells, a pull-up bar, an Olympic weight plate and a TRX suspension trainer (or gymnastic rings). A bench that can go incline is optional, though access to one is going to make things simpler. That’s it. Now, let’s get into the meat and potatoes of this workout for BJJ. Travis’ plan does not include a warm-up, so I’m going to make a point to mention it. Never skip the warm-up, be it a BJJ class or doing fitness homework. As boring as it may be, it is going to keep you safe and help you perform better. The first day starts with a kettlebell and bodyweight circuit. Remember, you should go through each circuit twice before moving to the next. First, you pump put 8 reps of kettlebell deadlifts, before going for an isometric goblet squat hold for 15 seconds. Immediately after, you’ll hit a side plank for 20 seconds on each side. The second circuit starts with a goblet squat again and moves on to an isometric chin-up hold. After hanging from the bar for 10 seconds twice in a row, you do an inline lift to complete the circuit. 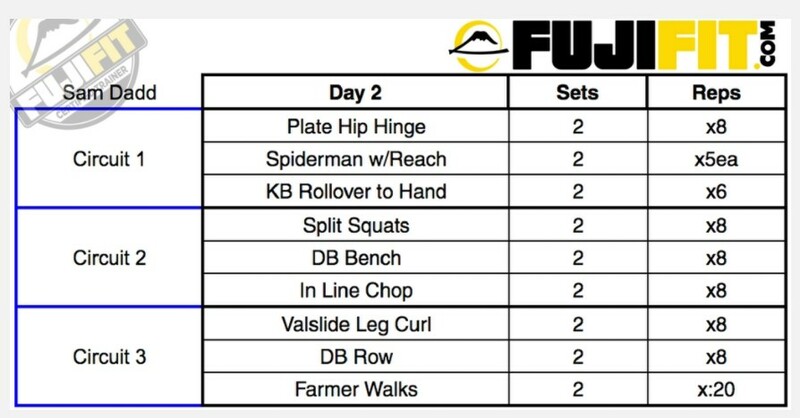 For the second session of the workout for BJJ, you start off with plate hip hinges, again for 8 reps. Spidermen with reach are up next, reducing the reps to 5 each. To finish it off, you’ll do a kettlebell roll over for 6 reps. The next circuit starts with split squats, goes over to a double dumbbell bench press and ends with an inline chop. 8 reps for every exercise is the norm. The third and final circuit hits the legs from behind with the Wall slide leg curl. 8 reps of dumbbell rows precede 20 20-second farmer’s walks with as much weight as you can handle. Once again, two sets of each circuit. The final workout day of the week starts with a kettlebell deadlift once again. The next exercises, toe touches to squats are going to test your mobility as well as your endurance. Both of these exercises go for 8 reps each before holding a plank for 20 seconds. Going forward, it’s time for lateral squats (4 on each side) followed by an incline dumbbell bench press for 8 reps. A core crushing 10-second holds (2 in a row) of kneeling anti-rotation holds wrap this circuit up. For the final circuit of the week, go for 8 reps of wall-slide squats. 8 reps of those earn you a transition to the TRX for 8 reps of rows. End the week in strong fashion with kettlebell overhead carries for 20 seconds each set. There you have it. A complete workout for BJJ that is going to transform you into a better grappler in a very short time. Stick to the programming and you’ll see results straight away, both in the mirror and on the mats. 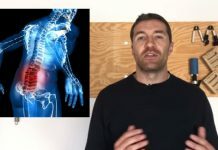 Strength And Conditioning For BJJ – What Is Best For You?